Treat your skin to natural hand wash that’s good for the earth, too. 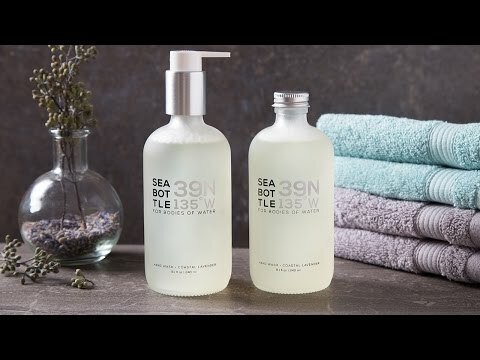 Aloe, kelp, and essential oils combine to create a lightly scented and softening formula—without any dyes, fragrances, or anything artificial that can harm the environment. 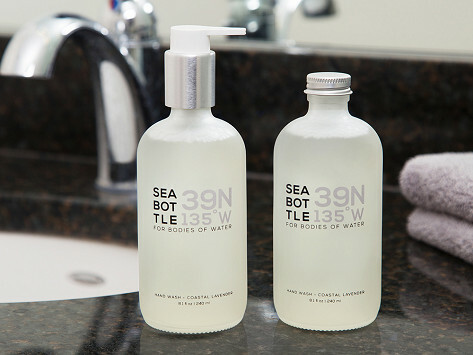 The sea glass-inspired bottle is an attractive addition to the counter top, and this set includes a refill to help cut down on waste, too. Dimensions: Each: 2.5" x 2.5" x 6.63"
The soda is great for hand washing - not harsh, it gets the job done.